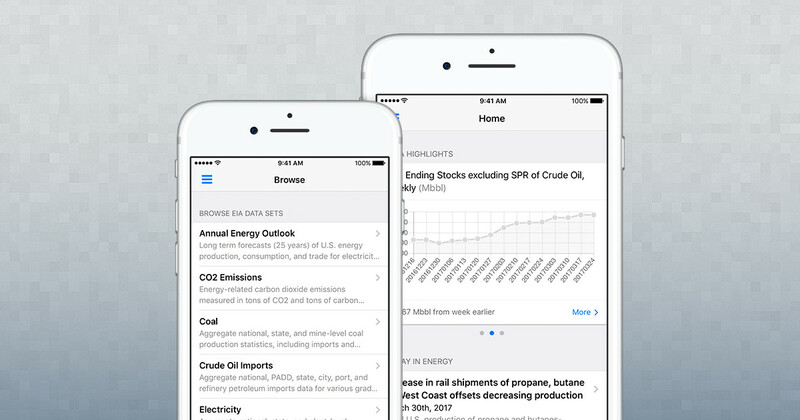 iOS interface for the U.S. Energy Information Administration open data API. EIA Open Data is an iOS app for browsing data provided by the U.S. Energy Information Administration (EIA) free and open data API. Access a wide range of energy data covering production, stocks, demand, imports, exports and prices. Search over 1,000,000 data sets provided by the U.S. Energy Information Administration. Use favorites to keep tabs, or share data sets as comma-separated values (CSV) for analysis in external apps.